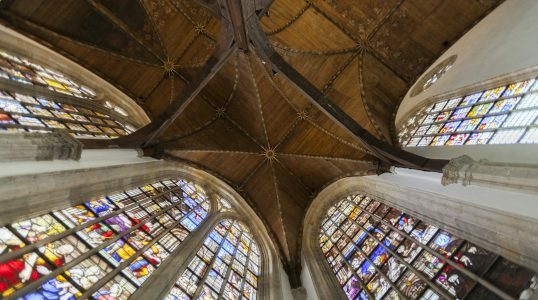 Oude Kerk, an Amsterdam church from the 13th century, is also used now as a contemporary art space. The building, whose name means “old church” in English, has had several additions and restorations to it. 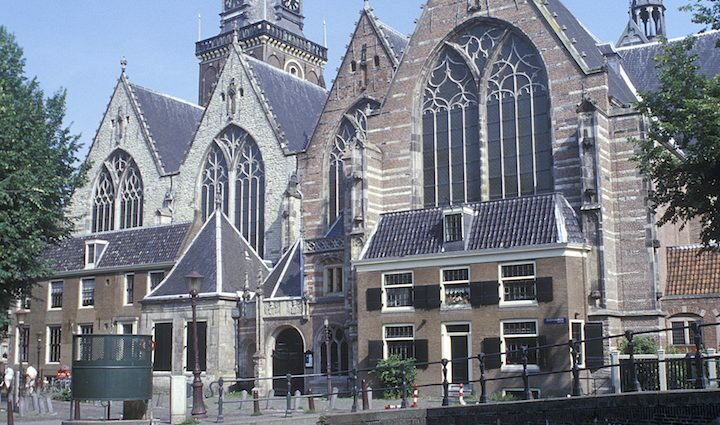 Church services continue on Sundays; however, Oude Kerk—Amsterdam’s oldest surviving building—is now used for many non-religious cultural events as well. The nature of the space not only presents an interesting contrast of old and new Amsterdam, but also between the religion and the secular world.